It's so easy to have a quick and healthy meal! 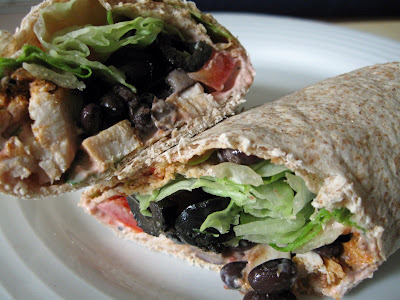 Wraps are a great meal for breakfast lunch or dinner! They're good for any meal because they're just so versatile! For the sauce I mixed some yoghurt with red pepper pesto. I used whole wheat tortilla wraps to make it even healthier. You can be as creative as you want when making wraps. These were delicious! MMMMM, this looks soooo delicious! And so simple, lovely things you're making!